Car emissions is a high-stakes issue, as last year’s Volkswagen scandal demonstrated. Pressure to meet tightening standards led the carmaker to cheat on emissions tests. But wrongdoing aside, how are automakers going to realistically meet future, tougher emissions requirements to reduce their impact on the climate? Researchers report today that a vehicle’s cold start — at least in gasoline-powered cars — is the best target for future design changes. Although the Environmental Protection Agency (EPA) has reported that air is cleaner today than it was in the 1970s, more than 130 million people in the U.S. still live in places where smog or particle pollution rises to unhealthful levels. Smog can cause coughing and shortness of breath, and can aggravate asthma or trigger asthma attacks. Much of this haze is formed from volatile organic compounds, or VOCs, and fine particulate matter from tailpipe emissions. To find out what vehicles on the road are currently emitting, Drozd and colleagues at the University of California, Berkeley; Carnegie Mellon University; the University of California, San Diego; and the Massachusetts Institute of Technology rented 25 gasoline-powered cars, including two hybrids, from residents in the Los Angeles area. The vehicle ages ranged from 2 to 20 years. The researchers took the cars to the Haagen-Smit Laboratory funded by the California Air Resources Board and drove them on a giant treadmill. Using a proton-transfer reaction mass spectrometer, they were able to measure a wider range of compounds coming out of tailpipes more rapidly than in previous reports. They detected a cocktail of chemicals, including fuel components such as benzene, toluene and xylenes, and incomplete combustion products including acetaldehyde, formaldehyde and acetonitrile. But overall, their concentrations were very low for the newer cars. The researchers also found that almost all emissions in properly functioning, new vehicles came out immediately after starting the cars when their engines were cold. But once new cars warmed up, they had to be driven 100 to 300 miles to match the levels that came out in the first 30 seconds of the engine turning on. “Our work shows that for newer cars we should have fast measurements, so that we can then more accurately predict emissions from cars in the real world,” Drozd says. Even malfunctioning and older cars would have to travel 50 to 100 miles, respectively, to release the same amount of emissions as they would within the first minute of a cold start, he adds. 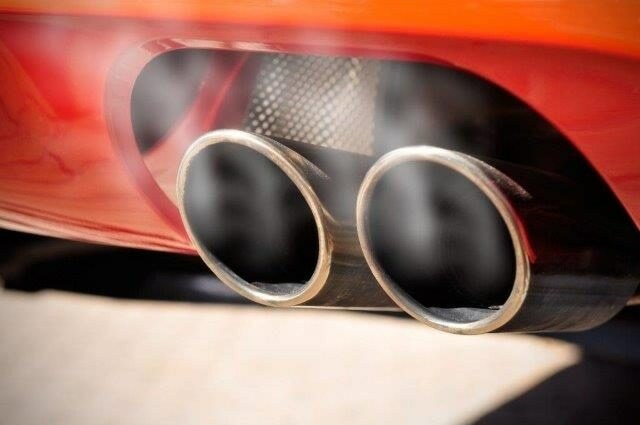 This concentrated release very early in a car’s operation occurs because its catalytic converter, which breaks down VOCs, hasn’t had a chance to warm up yet. The faster it can heat up, the lower the emissions could be, he explains. The researchers’ findings could also help the EPA model future emissions standards as the U.S. works to lower them. Drozd acknowledges funding from the California Air Resources Board. To automatically receive news releases from the American Chemical Society, contact [email protected].